Vacation rental villa. Sleeps 2, 0 bedroom, 1 bathroom. No pets allowed. 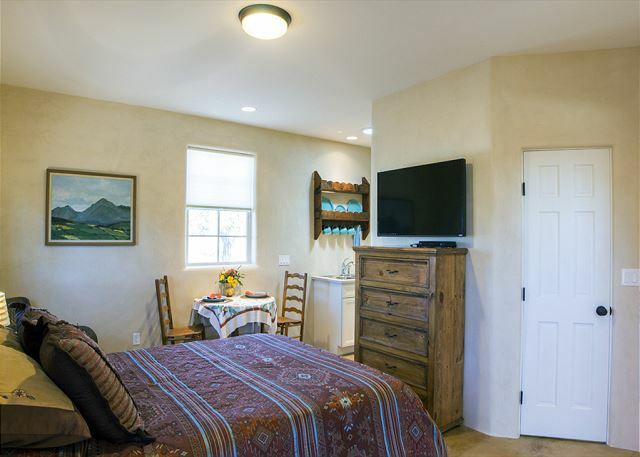 Located on top of a hill in the desirable Eastside, Casita Lorenzo is located in one of the oldest neighborhoods in Santa Fe. 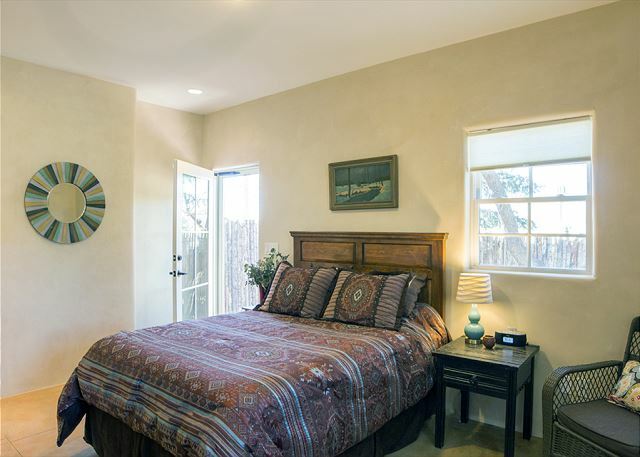 Fully furnished, this one room studio is furnished with all you need to start enjoying all Santa Fe has to offer. 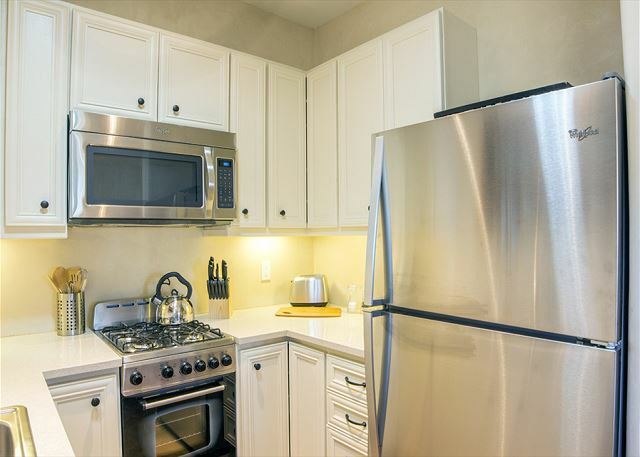 Kitchen with stainless appliances including gas stove. 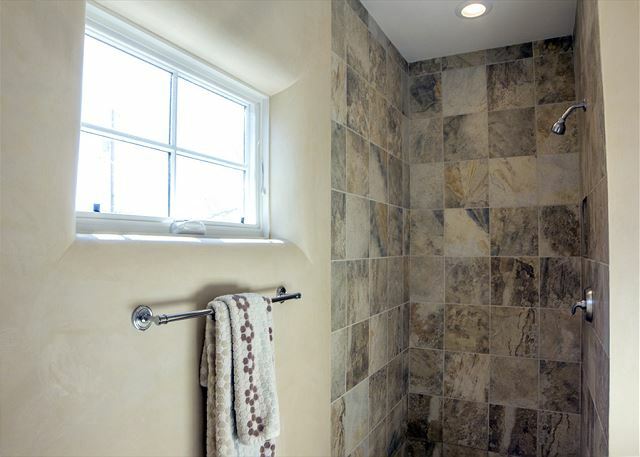 Bathroom with walk-in shower. Large walk-in closet. 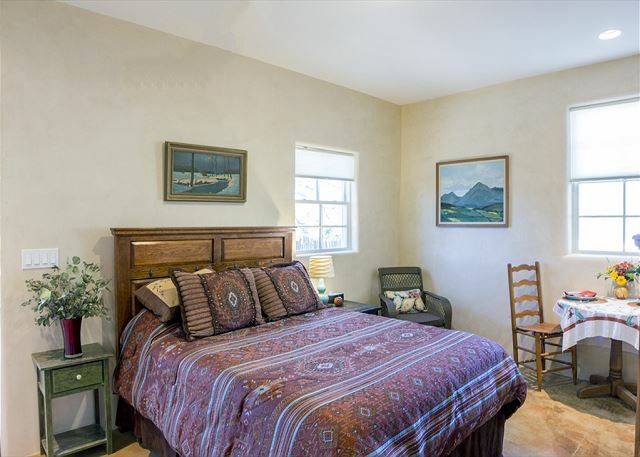 Utilities, cable television, and wireless internet are included. The outside brick patio is shaded with 100-year-old apricot trees. Quiet, peaceful and close to town. An easy walk to Canyon Road and the Dale Ball hiking trails. Due to the incline of the driveway, all wheel drive is recommended in the winter months.